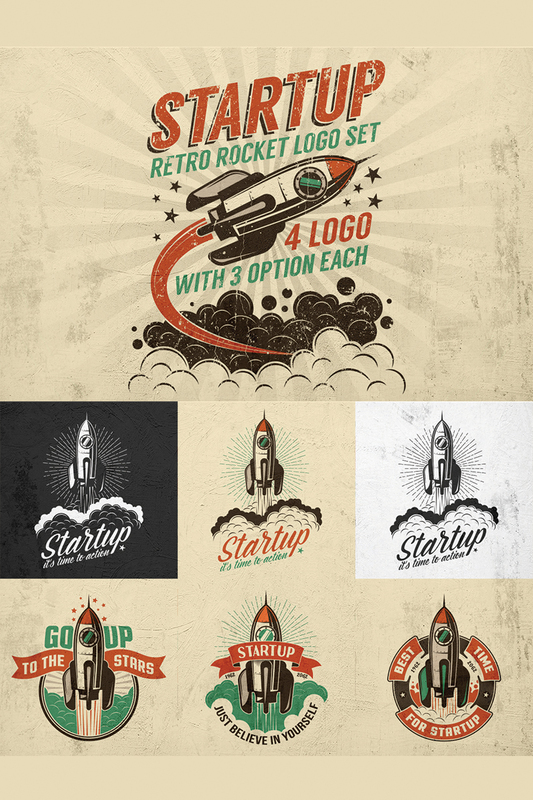 Set of startup logos with a rocket in retro style. Variants for a dark and light background are presented, which greatly extends the application possibilities. 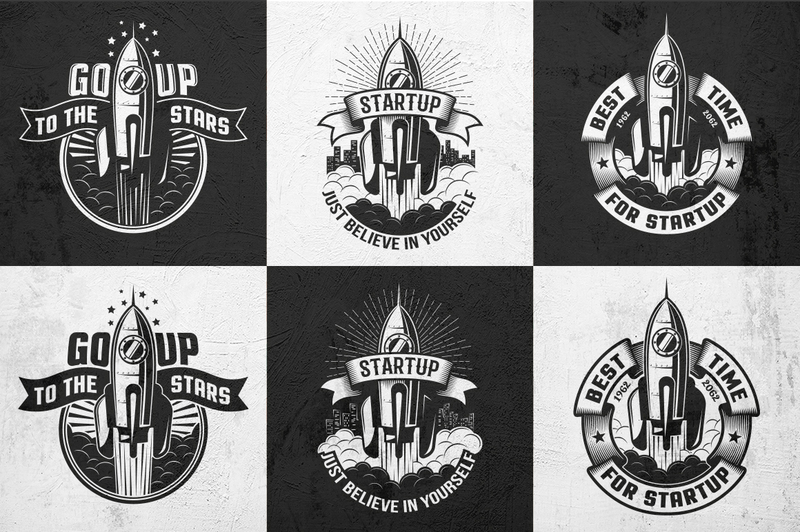 4 logos in 3 variants each (total 12). Vector AI CS6, EPS10, SVG and raster PSD, PNG, JPG files. AI and PSD files with editable text. 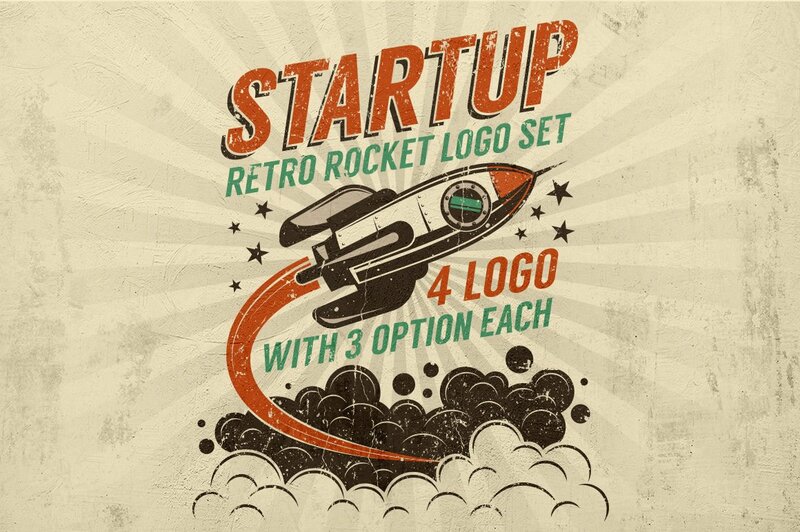 Rocket separately and 4 ribbons for a logo. 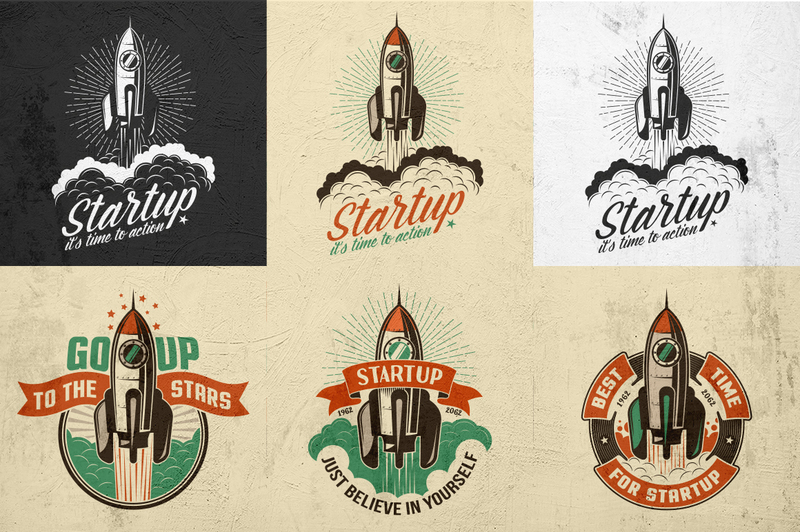 Vector EPS10 and raster PSD, PNG files. Poster with a rocket (as on a preview). 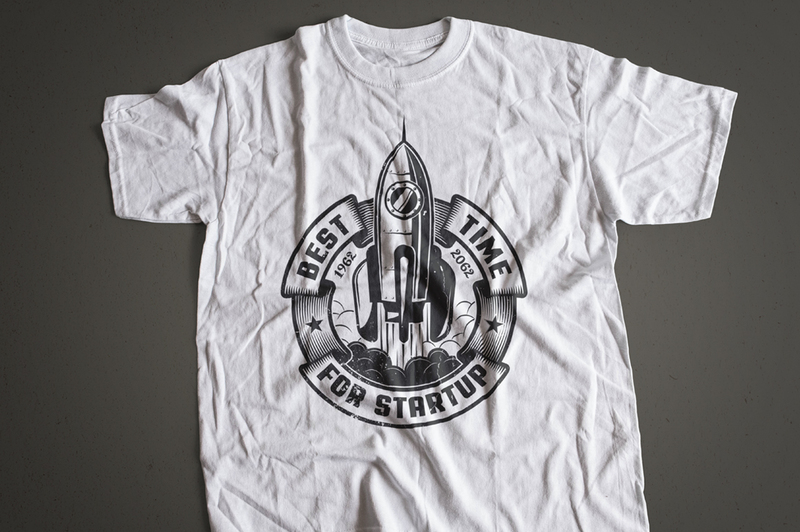 Vector AI CS6 and raster PSD files with editable text. Links to the fonts used - in txt file. 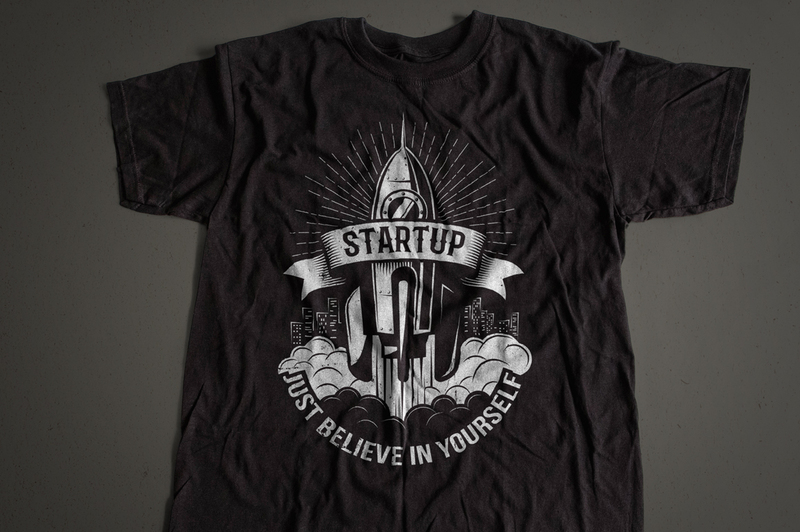 NOTE: In the logo with inscription "Go up to the stars" words "Go up" is included only in the curves, words "to the stars" as editable text only in AI file.